Fresh, seasonal & simple. Just the kind of food we eat at home. Greek-Australian dishes, using only the best quality seafood and seasonal produce. Lunch is the perfect opportunity to sit outside on our vast veranda and watch the world go by, or sit inside by the open fireplace during the colder months. Lunch is served between 12:00pm and 2:30pm. As the sun goes down, dinner begins at 6:00pm. It is always encouraged to make a booking, especially during the summer period. Children are welcome and there is a grassed area where they can play while you relax on the veranda. We have a children’s menu for children under 12 and high chairs available on request. 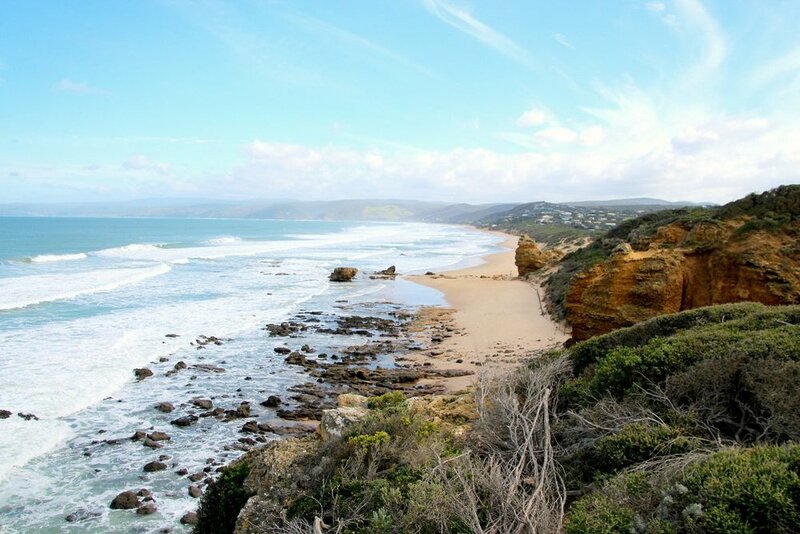 a la grecque is located in coastal town of Aireys Inlet, Victoria on the Great Ocean Road. Open Wednesday to Sunday for lunch and dinner, closed Monday and Tuesday. We will be closed on Monday 22 April (Easter Monday) and Thursday 25 April 2019 (Anzac Day). We will be closing for our annual Winter break from 29 April 2019 and reopening on Wednesday 4 September 2019.